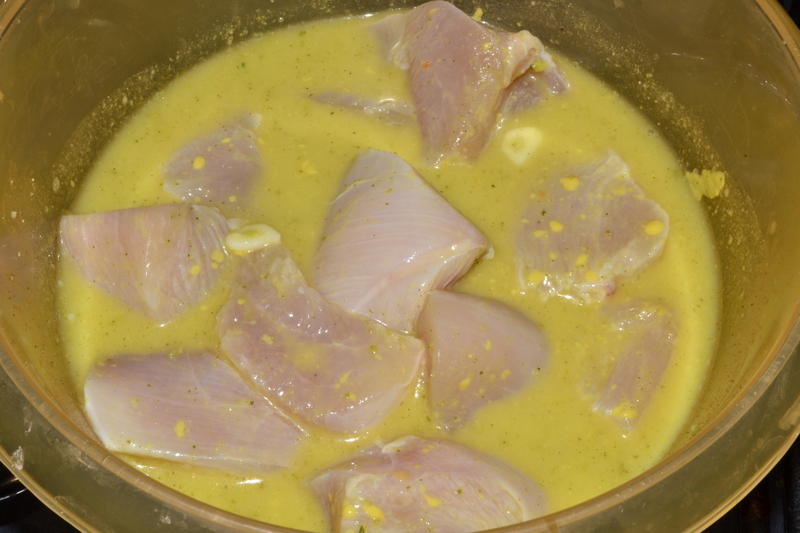 In a bowl mix the warm water, mustard, garlic, lemon juice and yogurt. 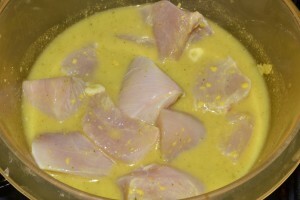 Put chicken pieces over this mixture and stir so that the chicken is covered with that. Cover the bowl and leave it in the refrigerator at least 3 hours. 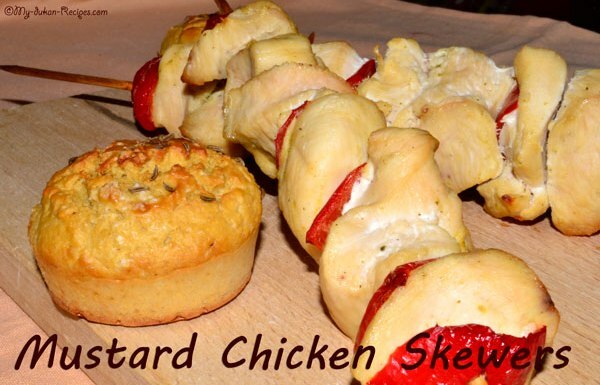 Slide chicken onto skewers (you may put some peppers and green onions on your PV days). Transfer to grill and cook, turning occasionally, until chicken is charred and no longer pink (approx 8 minutes). 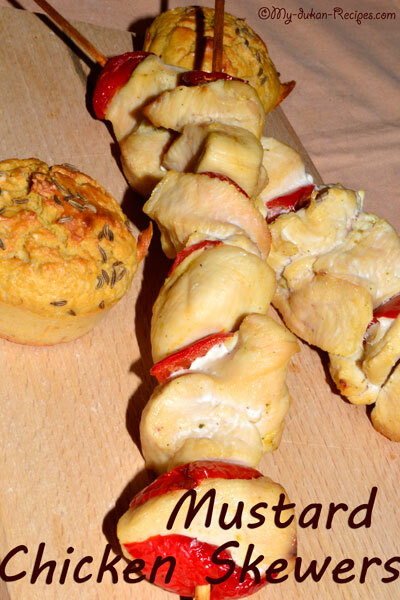 You may also cook it in the oven (180oC, for 30 minutes). 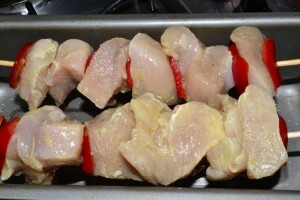 Note: if using wooden skewers, soak for at least 30 minutes prior to grilling…perfect to do while the chicken is marinating.